The Humane Society of the United States is a name most pet owners and animal lovers know by heart, but what do they do? Yes, we know they help animals, but how? Humane, by definition, is “showing compassion or benevolence.” To understand the Humane Society’s mission, we must first look at animals as we see people: beings with feelings, hopes, and most of all the ability to feel pain and neglect. Debra Berger, the Georgia State Director of the Humane Society of the US (HSUS), answers questions about the organization. Berger joined the HSUS because of hands-on experience working as a shelter volunteer. She felt as if her work there was important, but not solving long-term issues that affect animals. To make a change, she had to address the ways animals were treated in the world, not simply in a shelter-by-shelter basis. Thus began her journey to become the director of the Georgia division of the United States Humane Society. Recently, Berger worked with disaster relief related to the latest hurricanes to hit the southern US, such as hurricane Florence. HSUS rescued thousands of animals left to the chaos of these storms and took care of them until they could be reunited with their families. Before the storm hit, HSUS provided aid to pet families by taking in their furry companions, sending them to safety as soon as the storm makes landfall. However, not all pets are as lucky and, in order to protect as many pets as possible, HSUS partnered with local law enforcement to rescue any stray or pets left behind from hurricanes and other disasters. Berger’s primary role in the HSUS is focused on legislation and policy to benefit animals beyond local rescue organizations. From expos to educating law enforcement to legal legislation at the local, state, and federal level, every action is done on the behalf of creating a better life for the animals of this country. HSUS fights Legal battles such as The Humane Cosmetics Act, which is working to prevent animal testing for cosmetics. At the moment, many animals are killed in the process of cosmetic testing while there are other methods available for companies to use which are more effective but cost more money. The act would prohibit animal testing for cosmetics made and sold in the United States. Currently, HSUS is trying to crack down on cruelties done to animals. The HSUS partners up with local law enforcement, offering training on identification of animal cruelty through free seminars. Together they work to fight animal cruelty in isolated instances and in larger operations such as dogfighting. Law enforcement ensures the people responsible are brought to justice and HSUS ensures the traumatized animals get the care they need and deserve. Only 40 states criminalize animal fighting as entertainment where they are forced to fight for hours on end, many times to the death. Alabama, Georgia, Hawaii, Idaho, Kansas, Kentucky, Mississippi, Missouri, North Carolina, South Carolina, South Dakota, and Utah still allow animal fighting. Even in states where such fighting is illegal, underground animal fighting events still persist. The punishment for such crimes are lax, as well. While instigators could face multiple charges, the charge of dogfighting alone is a year incarceration and a fine of $5,000. The organization is also working to shut down puppy mills where dogs only live to breed and their puppies to be sold, their lives confined to cages they may never escape. They are trying to end this cruel practice by opposing House Bill 938 which could keep puppy mills in business indefinitely. In an effort to stop this cruelty, HSUS promotes and drives potential pet families to shelters, rescues, and to spay and neuter events such as The Shelter Project and World Spay Day. One of these such Programs is the Pets for Life program. “The PFL philosophy recognizes that a deep connection with pets transcends socio-economic, racial, and geographic boundaries and no one should be denied the opportunity to experience the joy that comes from the human-animal bond,” says Berger. PFL has organizations in LA, Philadelphia, and 35 other cities across the country. They offer direct care with veterinary services, spay and neuter, as well as basic pet supplies. They cover return-to-owner fees and housing pet deposits to keep animals where they belong: with their families. This idea of family is why they teamed up with Rescue Dog Games. 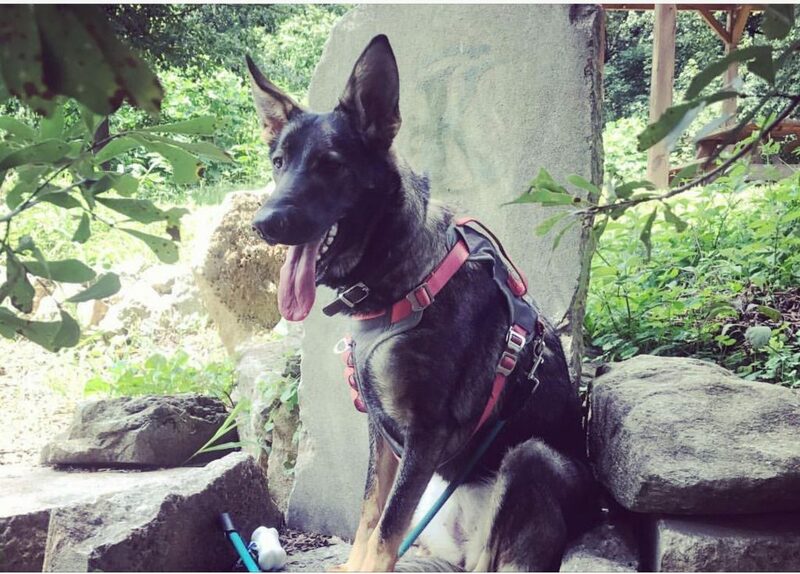 “We are happy to partner up with an organization that understands the need to support the shelter and rescue community in Georgia, with founders who use their impressive marketing skills to help create a more humane society,” says Berger. The only way we can create a better world for the dogs of America is to work together and no one understands that better than Berger whose main goal for HSUS this year is to engage and empower advocates. Rescue Dog Games brings shelters and other adoption agencies together to find more forever families for the dogs in their care. Centered in the Atlanta area, Rescue Dog Games hosts an annual festival that celebrates dogs and their families. Join festival and dog party at Rescue Dog Games, Sunday, March 10, 2019, in Piedmont Park. 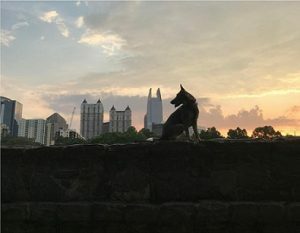 Together, The Humane Society of the United States and Rescue Dog Games will bring a more humane society for the dogs of Atlanta and the United States.